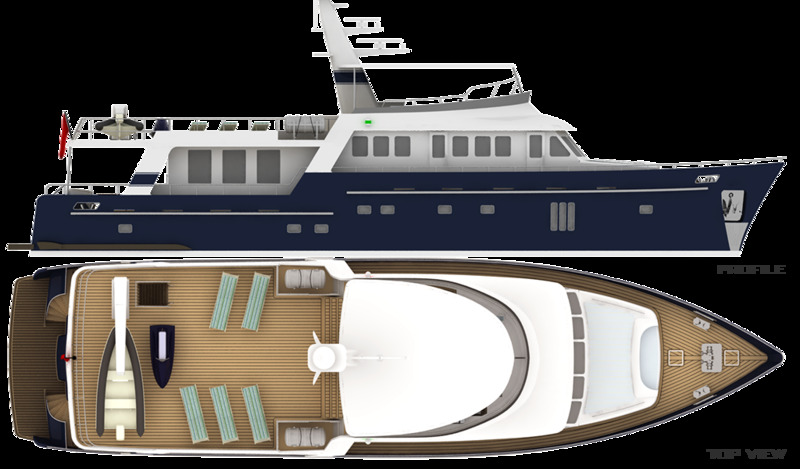 The yacht is a modern steel trawler and provide spacious exterior and interior areas with her 29m overall length and 7.5m beam. 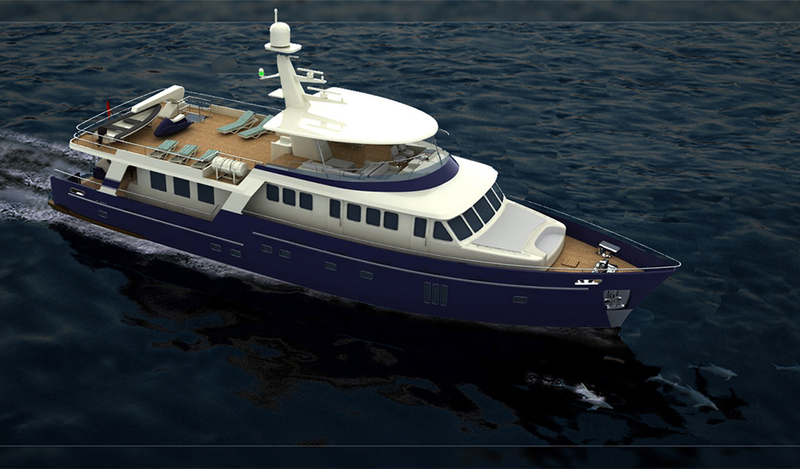 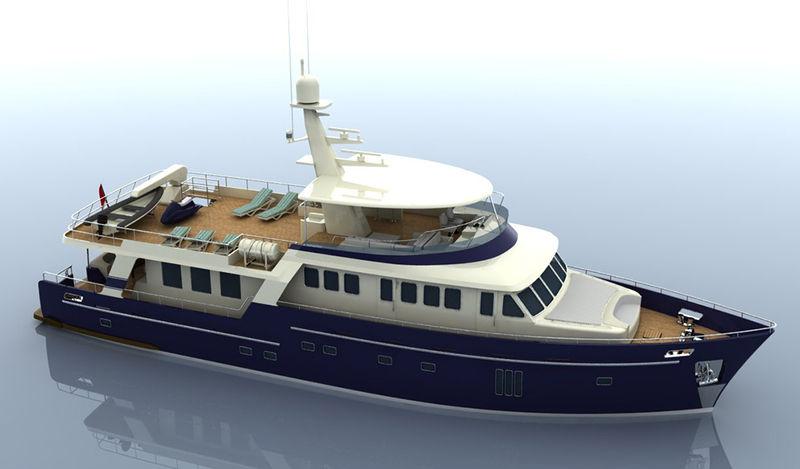 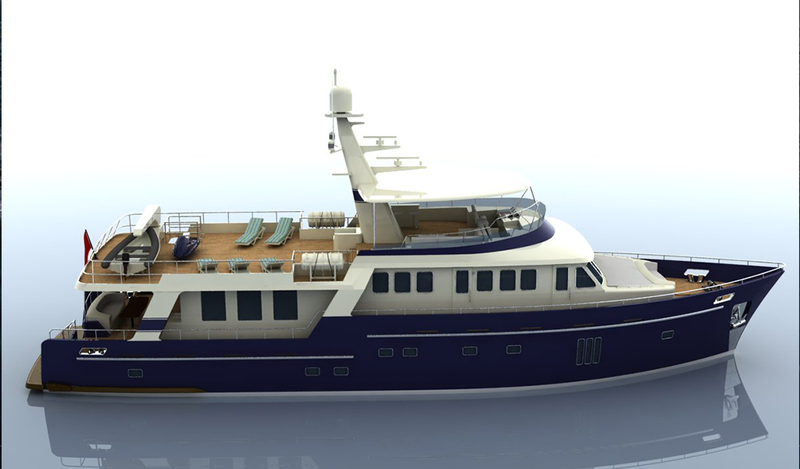 She is a blend of classical trawler style and modern design and technology. 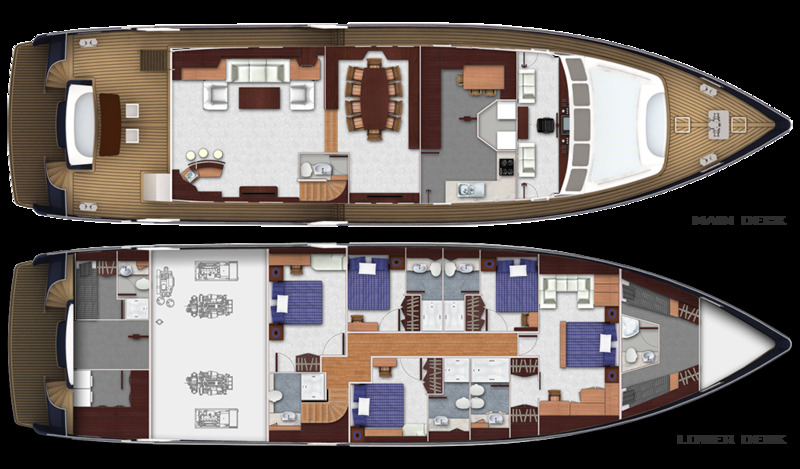 With her 2 master and 3 guest suites, she will offer accommodation for 10 guests. 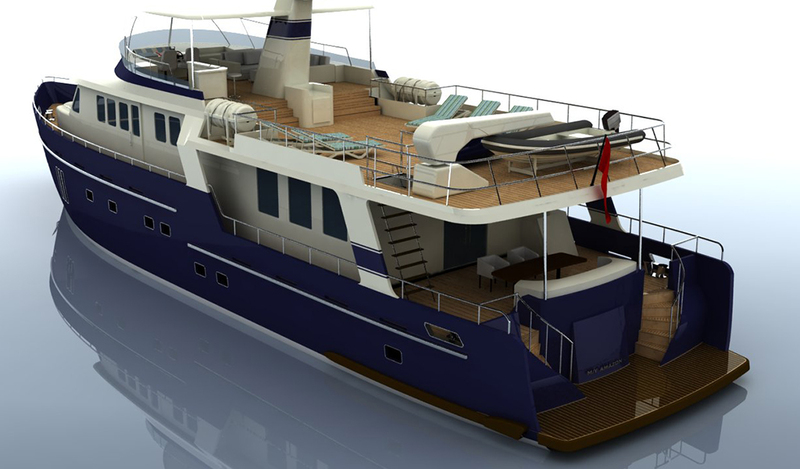 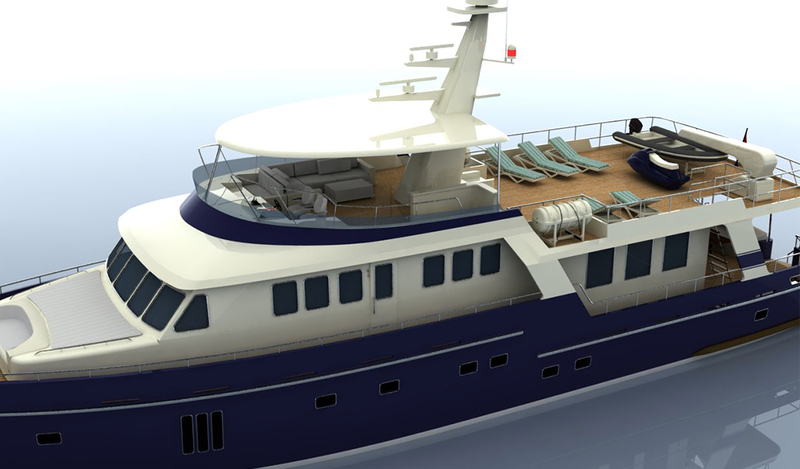 ARKYACHT is responsible for all the design, naval architecture, engineering, technical drawings and construction of both hull and superstructure.